The Schedule of Classes (SOC) Registration Guide provides information to successfully enroll in classes each term, including dates and deadlines, registration instructions, and academic policies pertaining to enrollment. One key component is using the Registration Planner (login required) to start planning your schedule for the upcoming semester. 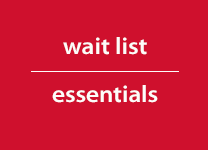 Know when to register, wait list, repeat courses, pay tuition/fees and make late schedule changes. See: Registration Calendar. Activate your CSUN user ID and password to access self-service registration through myNorthridge Portal. Read: Security Tips. Clear holds that may prevent you from enrolling in classes, including the Title IX "Not Anymore" hold. Make every unit count! See an academic advisor or graduate program coordinator. Plan ahead using degree planning tools. Understand academic policies for attendance, course requisites, credit/no credit grading, maximum unit load, repeating courses, and withdrawing. Use Class Search to preview classes months before enrollment begins. Access Class Search from the CSUN home page (no login required), through myNorthridge Portal (log in), or in the CSUN Mobile App. Use the Registration Planner (login required) to generate schedules for the classes you want, choose a desired schedule and send it to your enrollment shopping cart, and/or fit a new class into your schedule. 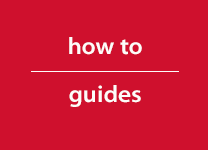 The Registration Planner Guide has more information on how to use this tool. Begin registering when your enrollment appointment arrives and thereafter. Add, drop or swap classes online during registration periods. Drop classes you no longer want during the first three weeks of instruction to avoid getting a grade of “WU” (unauthorized withdrawal), which counts as an “F” in GPA calculation. Formal, written approval is required to change your schedule beginning with Week 4. For withdrawal and refund information, see Late Add-Drop Classes. Degree Progress Report (DPR) & Planner lets you plan courses for future terms based on the remaining degree requirements in your DPR audit. Identifying a favorite plan in DPR & Planner helps academic departments predict course demand and provides data to support offering more sections of the classes you need to graduate. With Registration Planner you can generate all possible schedule combinations of the courses you select, compare up to 4 schedules, save favorites, and send a desired schedule to your enrollment shopping cart. CSUN students receive a designated appointment for fall and spring enrollment. 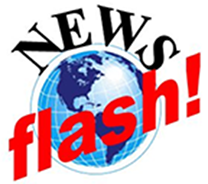 Watch for a "registration notice" emailed each April and October. Students "self-appoint" a time to register on a first-to-arrive basis for summer classes. View your appointment in myNorthridge Portal in My Checklist. Enroll in classes on the date/time of your appointment and thereafter. How is my appointment determined? CSUN students are assigned a fall and spring enrollment appointment based on the number of units completed at the time appointments are produced. Seniors must have applied to graduate to receive an earlier appointment. Registration appointments are not negotiable. Please plan ahead, enroll in priority classes first, and use Registration Planner and wait listing. See Degree Planning Tools. The Schedule of Classes Registration Guide is not a substitute for the University Catalog. Cal State Northridge has made reasonable efforts to ensure the accuracy of the information throughout this website. All information is subject to change without notice or obligation.